Pastor's and Minister's wives have a unique role in ministry. We are sounding boards for our husbands. We "hold down the fort" while our husbands are called on at any hour of the day or night. We are passionate about ministry and loving the people in our ministry sphere, but we also fight the pain of criticism aimed at our husband and children or us. I've often thought the "firey darts" mentioned in Ephesians 6 refer to the pain of these criticisms and expectations. We are women trying to be thick-skinned while remaining soft-hearted. We are called to ministry as much as our husbands, but we are often limited by the expectations of others. Being a pastor or a pastor's wife is not an easy road, but we pray it is worth it! The focus of this week's newsletter is the pastor's family. Years ago I read a wonderful book called Heart to Heart with Pastor's Wives by Lynne Dugan. It encouraged me so much. I am about to start reading Kay Warren's new book Sacred Privilege. I've been a pastor's wife for 32 years now, and it has been a sacred privilege. Many, many times I've been overwhelmed by the outpouring of love and appreciation from people who wanted to encourage our family. I've recieved notes that made me feel like a valuable part of the ministry. I was especailly blessed by a note sent to one of our children thanking her for her ministry. It was special because it wasn't because she was the pastor's daughter. This note was because God was using her to bless others. That was really wonderful to see. However, I've also been in the choir loft listening to the gossip of two ladies next to me bad-mouthing my husband. I've had a person come to our home telling my husabnd how she was sad that he had a wife and family, that she wished they had a single pastor. I've also had a friend who would just shake her head and say, "You are NOT a pastor's wife." She meant it in a funny way because I wasn't exactly fitting into the traditional mold. But I'm sure there have been many who thought that same thing and didn't mean it in a fun, loving way. I firmly believe being in ministry is a calling for both spouses. In fact, when I became a Christian, I first felt called to preach. I was seven. My parents informed me that girls don't preach, so in my seven-year-old logic, I told them I was going to be a pastor's wife then, and I needed to take piano lessons. I really did sense a calling on my life at that young age, and it has always been there since that time. I didn't get the piano lessons until seminary, so I've never been able to play in church, and I really don't prefer working in the nursery even though I love babies. I prefer teaching youth and college ages or adults. And I love being a pastor's wife and a minister. What's your story? Or what's your pastor's wife's story? We know it is a tremendous blessing when people want to hear our stories. Take time to hear hers and their children's stories. It will bless you and them. If you are a minister's wife, you will get to share stories, ideas, and fellowship with other minister's wives soon. 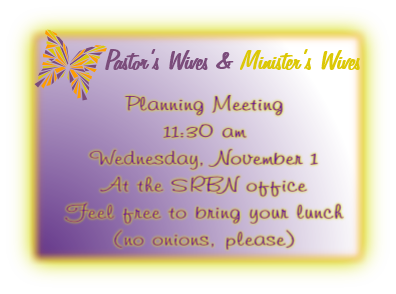 If you are available Wednesday, November 1st at 11:30 am, we are having a planning meeting at the SRBN office to start up a new pastor's wives group. 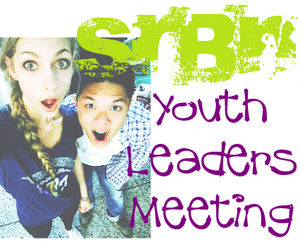 If you cannot join us that day, please watch the SRBN Website and this newsletter for upcoming events and activities. The church has been part of my life since I was born. I grew up as a pastor’s kid. It’s all I’ve ever known. When it came to getting married, I swore I would never marry a pastor. Well, I did. We got married, and the very next day we moved across the country so he could start seminary. When it comes to being married to a pastor, there have been things I’ve enjoyed, and other things I wish I didn’t have to deal with. I wanted to share a couple of those things based on my experience. It’s amazing to look back and see all that the Lord has done in and through the church. Lives changed, needs met and things happening that we can only attribute to the Lord moving. Being in the position I am, I love just sitting back and watching it all unfold—thanking Jesus for what he has done. Looking ahead, I can’t wait to see what’s yet to come. A brand-new LifeWay Research study came out recently about the lives of Protestant pastors’ spouses. The representative study of 720 spouses revealed that their lives and ministries were a mixture of challenges and blessings. I asked my wife Janet to comment on some of the results, since she has been a pastor’s spouse for 30 years, and a pastor’s daughter her whole life. Janet also speaks to approximately 1,500 pastor’s wives each year in conferences, retreats, and Pastor Date Nights across North America. Here is the first post in this two-part series. Mark: You showed some concern about the result from the question on personal time with God. 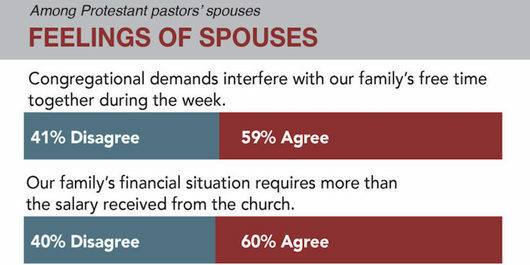 A brand-new LifeWay Research study came out last week about the lives of Protestant pastors’ spouses. The representative study of 720 spouses revealed that their lives and ministries were a mixture of challenges and blessings. I asked my wife Janet to comment on some of the results, since she has been a pastor’s spouse for 30 years, and a pastor’s daughter her whole life. Janet also speaks to approximately 1,500 pastor’s wives each year in conferences, retreats, and Pastor Date Nights across North America. If you’re a pastor’s wife, you know how time-consuming ministry can be for your husband. This busyness usually comes in seasons. Right now, your husband may be stretched thin responding to hurricane relief, or perhaps he’s heavily engaged in a specific church-wide emphasis that needs attention. Whatever it is, his ministry workload can often result in his unavailability at home. A couple great practical articles: What Not to Say (and What TO Say) to Your Pastor's Wife from Churchplants. And Nine Secrets Your Pastor’s Wife Wishes You Knew from Authentik Magazine. Lots of good advice. Sometimes they are impossible expectations…Here are the top ten expectations imposed upon these ladies. To read the full article with more details, go here. From transitioning ministry opportunities, to transitioning ministry styles, to church revitalization, the pastor’s wife often feels like the driftwood caught in a rolling tide. While her pastor husband may discuss things with her, any changes of ministry direction are usually beyond her control. The results, however, may directly affect her in negative ways. I encourage any pastor who God is leading to lead in a transitional situation to consider these ways in which your wife may be affected. What are her gains and losses? What price does she pay for this move? What are the positives for her in this move? Your awareness of her concerns can help you lean in compassionately with her losses and celebrate her gains. Is she leaving wounded or limping? What emotional work does this move require of her? How will my children handle this move? Will my children find healthy friends? Will this church love my husband? Will I be accepted in this new church or the new job I have in this new place? Weill people in the church expect me to be something I’m not? Will they forever compare me to previous pastors wives? Don’t leave her alone to negotiate emotional transitions just because of all the demands on you. Be a team in shepherding the emotional health of your family. How can you help her assimilate? So here’s a sentence I never thought I’d write: Being a pastor’s wife is a little like having a cat on your head. Are we really asking for it? We have our private, everyday lives just like everyone else, yet we happen to be married to men whose jobs—whose ministries—are public. And despite shifting notions of celebrity, the church tends to hold an unspoken expectation that pastors and their wives live in a special category of Christian. I was helping set up tables for the annual church bazaar and this question hit me out of the blue. It wasn't asked with the intent of getting to know me better, or inquiring about my life's story. It was more of a "That's weird that he's married to you" kind of statement. I found myself trying to defend my husband's and my compatibility, realizing our marriage was under scrutiny by this woman who really didn't know either of us on a personal level. What is a "pastor's wife" anyway? Is it a profession? Certainly more than a few parishioners see it that way. And if my experiences are any indication, there are certain physical and personality characteristics in a pastor's spouse that people in the pew consider desirable, if not essential. 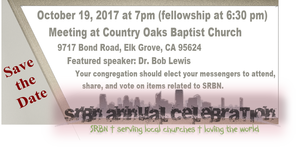 First Baptist Church of Orangevale has hosted this meeting for the past eleven years, and 2017 was one of the best we have had. During the three days, we had a barbecue on Sunday afternoon followed by music led by John McDaniel and the worship team from Orangevale, and a presentation by Dr. Carl Morgan, Director and Curator of the Woodland Museum of Biblical Archaelogy. Dr. Morgan also spoke on Monday and Tuesday mornings. Early sessions on Monday and Tuesday included a presentation by the California Highway Patrol of their “Age Well Drive Smart” program for drivers age 65 and older. The Senior Ombudsman from California Department of Motor Vehicles provided invaluable information for the senior driving community. On Tuesday morning, representatives of First Call Hospice presented great information about the concepts involved in hospice care for patients of all ages approaching the end of life. The conference was well attended by representatives from seventeen churches, with 83 on Sunday evening, 64 on Monday, and more than 40 on Tuesday. Of course great fellowship occurred during the lunches after each morning session. Orangevale has enjoyed hosting the past eleven years of conferences, but is seeking another church to host the meetings in 2018. 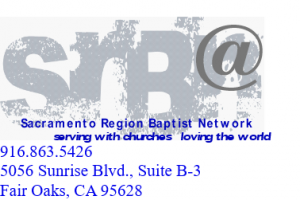 Any church group interested in hosting may contact Richard Ackler, Senior Adult Ministries Coordinator at First Baptist Church of Orangevale, at (916)601-6017, or emailacklerri@surewest.net. Teachers needed wot tork with the preschool program at Lake Tahoe. Teachers must be studying or have a dregree in Early Childhood, Child Life, Child Development, or Human Development and Family Studies. You need 12 semester hours in any combination fo these types of classes to qualify as a preschool intern. Round-trip air fare, housing, food money,a nd local ministry-related transportation provided plus a $500 monthly stipend. A pastor from Suisun whose parents live in Sacramento needs to find 24/7 live-in assistance for his mother and her husband. 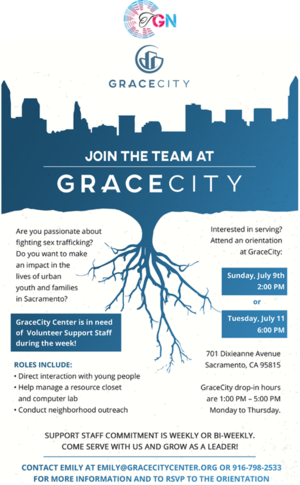 Please contact Pastor Richard Guy from Grace Baptist Church of Suisun. His number is 707-290-3200. We hope you would be willing to share our description with anyone who you feel would be a great addition to our team at FBCW. Please respond and we will send the application as a pdf file, or interested parties may contact the church at 530-795-2821 orfbcw@fbcwinters.org to schedule an interview. Thank you in advance for your assistance. 2. Have 1-2 leaders/contact persons to lead this project in your church who can explain the importance of this project and what it is accomplishing and who can oversee the sell of the bracelets used to raise the money as well as forward the money to The Church on the Rock in Canada. (See below for more details). (If you are near the Sacramento area, we can provide a leader/speaker to coordinate with your church if you are willing to let us come and share). 3. Commit to sell at least 100 bracelets. (They are really beautiful and are hand-made by the families in Myanmar). 4. Contact Claudia Wreyford at 916-944-2225 with any questions or to adopt this project in your church. The Church on Cypress in Carmichael has partnered with The Church on the Rock in Canada for many years. We need churches who, as part of their mission activities, would be willing to join us in supporting the mission churches in Myanmar. This project provides financial support for a lay pastor seminary (training 70-90 men from 15 outlying villages) as well as aiding Christian families being persecuted there. The families are making Kumihimo (braided) Bracelets which will then be offered for sale through churches here in the US. 100% of all monies collected go to the mission in Myanmar. There are no administrative costs. All work here is done by volunteers. As part of the Ignition Conference at the end of December, the students will have the opportunity to help with several service projects in our area from 1:15 pm to 4:45 pm on December 29th. If you have a special project that you think it appropriate for students to help with, please contact the SRBN office to let us know. and other meetings at the Annual Meeting as well. Be sure to check out CSBC for details). For His Glory Church is looking for free turkeys. We are serving FREE Thanksgiving Dinner and Free Christmas dinner again this year to families who otherwise won't have a dinner on those days. If you can make a donation of any kind we appreciate it.